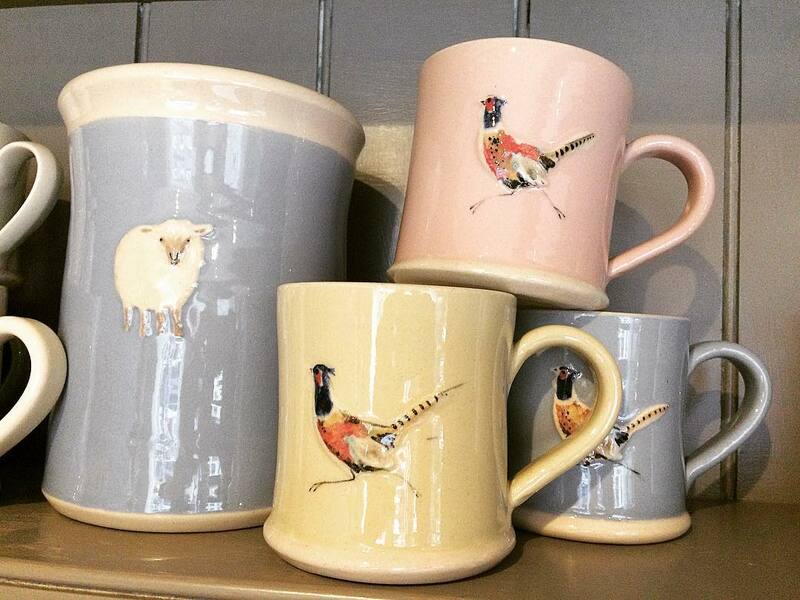 Jane Hogben is exquisite, beautifully made pottery using traditional time honoured methods, making their espresso and standard mugs, various sizes jugs, serving bowls and many more items of pottery so individual and unique. Jane first set out making her very own pottery when she left the central school of art and design, in her kitchen, becoming more and more successful from then on. Jane soon breached the capacity of her home and quickly moved into her very own studio dedicated to making around one thousand individual pieces of pottery each week, along with a very small team of highly skilled crafts people, in Buckinghamshire. Hogben has five staples colours, cream, green, blue, yellow and pink, that softly surround an amazing hand sculpted flower, bird, bumble bee or animal, and the occasional tiny love heart – I don’t think you could find anything much cuter! I must say, the mouse is just irresistible!